The best ski resort in the Himalayas, Gulmarg's legendary beauty, prime location and proximity to Srinagar naturally make it one of the premier hill spots in the country. Originally called 'Gaurimarg' by shepherds, its present name was given in the 16th century by Sultan Yusuf Shah, who was inspired by the sight of its grassy slopes emblazoned with wild flowers. 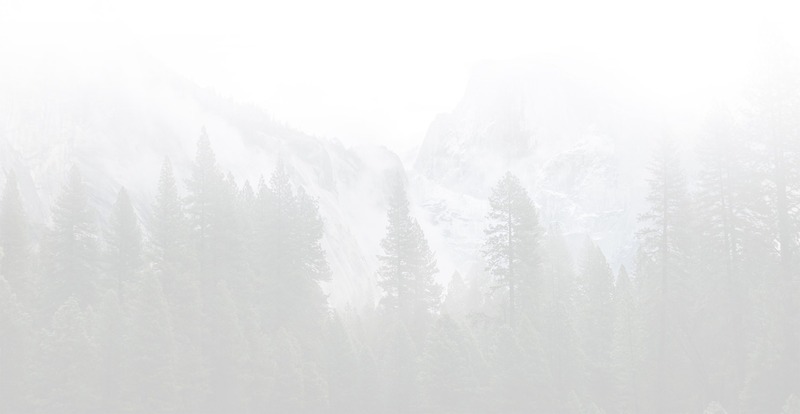 The towering peaks above the meadow are covered with dense forests of tall conifers and gigantic fir and pine trees, all vying with each other to touch the azure skies. A clear day offers some breathtaking views from Gulmarg: fields of rice; clusters of walnut, pear and mulberry; meadows, ridges and forests that lead to the snow slopes. The journey to Gulmarg is equally exciting. The wide roads give beauty to flat expanses of rice fields, interspersed with picturesque villages. Gulmarg's international lush green golf course is the highest in the world. Equipment is available on hire for the visitor allured by the golf greens here. Gulmarg is also an important trekking base. Sightseeing in Gulmarg is an experience of a lifetime. There are lakes, valleys, shrines and springs for you to visit. Major tourist attractions in Gulmarg are as follows. There are more to be seen and experienced in Gulmarg that we have listed here. Outer Circular Walk. The road encircles Gulmarg and provides scenic views of the massifs of Nanga Parbat, Harmukh, the rugged slopes of Ferozepur, Sunset Peak and Apharwat Ridge. 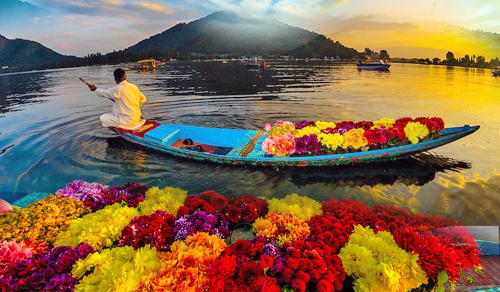 A 40-minute journey through valleys of wild flowers from Gulmarg to Khilanmarg offers a breathtaking view of the majestic peaks with their reflections in Wular and other lakes. Streaks of floating ice in this triangular lake, nestled in a hollow under the shadow of Apharwat mountain are a visual delight. A well-graded pony track joins Apharwat Ridge with Gulmarg. Flowing from the snow bed, the nallah springs from near the Apharwat Ridge, cutting through thick pine forests along the way. Adventure has its own taste in Gulmarg. 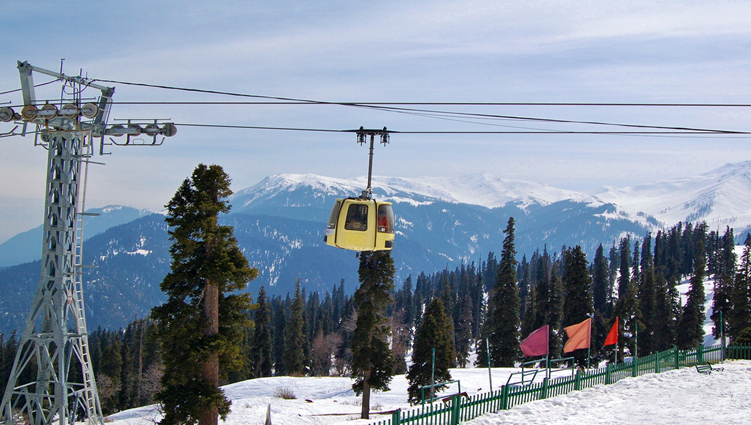 Though one of the most recent, the ski resort of Gulmarg is increasingly popular among tourists. 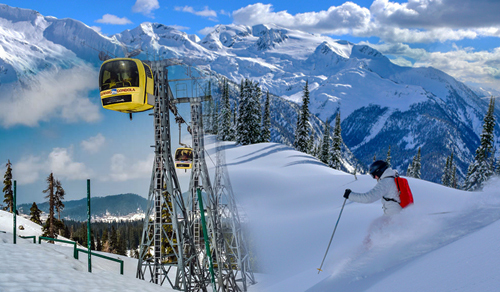 Skiing and snowboarding are two most important adventure activities in Gulmarg. As soon as winter sets in, travellers and adventure seekers keep flocking to Gulmarg from all across the world. 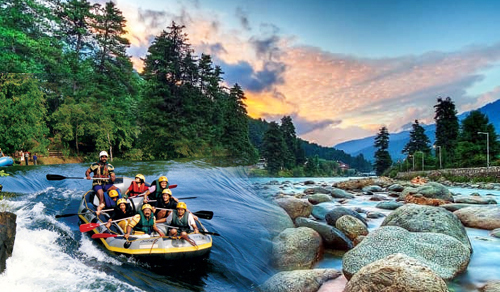 Besides, Gulmarg gives you an opportunity of enjoying golfing on the world's highest golf course, at an altitude of 2,650 m. Hiking is also a wonderful adventure activity to be enjoyed in Gulmarg. There are many options if you are worried about how to reach Gulmarg. The airport is closely located and rail and road connections are good. Closest Airport : Srinagar, which is only 56 km away. Closest Railhead : Jammu is the closest railhead from Gulmarg. Road Link : Well-linked to Srinagar by road, Gulmarg can be accessed from all the key destinations in northern India.